The old ways are best so they say, the following advice comes from the days when most laying flocks were made up of pure bred hens and from a time when poultry keepers tended to breed their own replacements. Todays pure bred hens are nearly all in the hands of the hobbiest and the showman. There are two entirely different ways of looking at this state of affairs and both have some merit. Firstly it can be said that the showman has bred for looks and rosettes and in doing so has undone the hard work of the people who years ago worked so very hard to build up the utility side of their birds. The hens that you see in the show pens today, tend to be like the beauty queens of the Miss World competition, in as much as they are nice to look at, but are generally none too bright. With poultry, this translates to being feather perfect but with poor egg production and a general degeneration of the qualities that the breed was originally created for. On the other hand, I feel it quite right to point out that without these two groups, many of the old breeds would have disappeared long ago and sunk into oblivion. In the fifties sixties and seventies, the pure breeds of chickens were quickly made redundant with the advent of the commercial hybrid. These hybrids were created by a clever blending of the very purebreeds that they were to go on and replace. Thankfully, thanks to a few die hards, the Rhode Island Reds, Leghorns and Light Sussex etc that once filled Britains farmyards have been saved. In recent years, dedicated people have started to rally to the cause of the old laying breeds and moves are a foot to try and ressurect the utility qualities that they once possessed. You can now often see utility strains of chickens advertised in the poultry press, which IMO can only be good news, but best be sure of what you are buying before purchasing. Don't confuse them with show birds, the two are virtually different breeds within the same breed and don't expect even the best to be able to compete with the hybrids that are around. The following has been gleaned (not copied) from pre 1940s books. 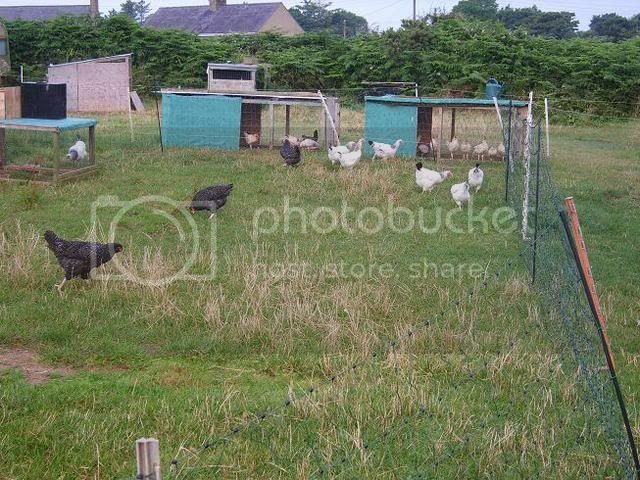 Let me quickly say that in trying to improve your own laying stock, I think the advice has not become too dated and that the implementation of these ideas, even by small scale poultry keepers such as ourselves would be good practice and also lead to happier chicken keeping experiences. In times gone by, the general rule on poultry farms was for the laying flock to be made up of one half first year pullets and the second half by two year old second season laying hens. On some holdings, the second year birds make up only 25% of the total, the reason for this , is that second year birds, taken as a whole do not produce as many eggs as the pullets.Since the profit from the laying flock deepends upon egg production, and that a poor layer will want as much food as a good one, it stands to reason, that there should be no room for the former. On a well run holding the 25 or 50 percent of pullets that are kept for the second year will not only be the best layers but in addition, they should be birds of good stamina and free from any physical defects. With purebreds, they should also conform to the standard of the breed. A proportion of these already superior birds should then be chosen to go into the breeding pens, these breeders must be of the highest possible quality. Its the sorting and eventually culling of birds into the described groups that should, if you get it right lead to a year on year on improvement in the general standard of your flock. The improvement will rise and fall in accordance with your own selection skills. Just to lighten up what is quite a heavy subject, here are some pictures of my Light Sussex chickens. I intend to put these birds through the same rigours of selection. Whilst we will be dealing with the question of examining the laying birds for profitability, it must be stressed that success depends upon selection and rejection taking place from the day the chick hatches - or even before that, because even the type of egg that is placed into the incubator needs to be scrutinised. You should never put any undersized or mishapen ones in. The business of identifying and removing unprofitable birds, is known as culling. That it pays to cull is obvious, because the elimination of poor layers means a reduction in the food bill. It is also an advantage to the poultry keeper because he or she will have fewer but a higher quality bird to select from when the time comes to put brood pens together. Culling can go on through out the laying season, but at least once a year, the whole flock must be examined, and this does not mean a cursory examination but handling each bird. Perhaps the best month for this will be July. By then the birds will have been in lay since the previous Autumn. Those that are in lay in the July will probably be the best layers, as the poor producing birds will moult early. If you have the time to do this examination and do the culling in January or April as well, then this will be even better. The final examination will take when the houses are required to be cleaned out ready for the next batch of POL pullets. Remember, the harder you cull out the poor birds, the more profit you'll make and the higher the standard of the birds that you are keeping. Todays modern hybrid laying chickens are advertised as being able to lay in the region of 260 eggs in their first laying season, so this really dates this piece of information that I've taken from one of my old books. It begins by saying " For birds to be a paying proposition an endeavour should be made to reach a flock average of 150 eggs per year" To compare chickens of those times with their present day counterpart would be as if to race a Morris Minor against a top of the range sports car, such is the diference. It goes on to say that the best way to ascertain egg yield is by way of a trap nest. This is an ordinary nestbox with a trap door which lets down over the front as soon as the bird enters. It can't get out until the keeper releases it. Then the leg band number on the bird and the egg is recorded on a chart. This is a good way of getting to know which birds are the good layers but frequent trips must be made through out the day to release chickens that have laid and of course, the records must be kept acurately. To conclude, if this is done over a number of seasons and the culling regeime strictly adhered to, this methodology should lead to the enhanced production that better stock leads to. There is however one variable that the birds don't have control over and thats the way in which they are kept. If the manner in which you keep your birds is inferior, then no matter how well bred the birds are, then their yield will also be inferior. Some breeds carry a strong yellow pigment as a breed characteristic. It manifests itself in their skin, beak and in their legs. Some of the breeds that this is seen in included, Leghorns, Wyandottes and Rhode Island Reds. At the beginning of the laying season, this pigment is clear to see. It will also be seen around the vent area. When laying begins, the pigment which is obtained from maize and green plants , will now be required for the yolks of the eggs. As more and more eggs are layed by the bird, the pigment is drawn on to a greater extent and the yellow colour will begin to fade or bleach out. The first colour to go, is that around the vent. The colour in the legs is always the last to go. When laying ceases, the colour will return as the bird replenishes the pigment. Pale skin colour in a yellow skinned breed denotes previous or current egg production. The area around the vent for instance tends to be completely bleached out at around two weeks into full lay. The pigmentation on a bird in full lay will obviously stay longer and stronger on a bird that is being fed yellow maize and is being given access to a grass run. These factors must be taken into account before culling commences using this pointer. Other pointers that can be used in the abscence of trap nesting are as follows. Distance between the breast bone and the pelvic bones. Condition of pelvic bones and texture of skin. Its my intention to return to each of these in the near future and to go through them one by one. I've gotten my second breath now, so hopefully heres the second half in its entirety. In white fleshed breeds, past production can be judged by the moult. The birds producing the most eggs tend to be the late moulters, that is the birds which have laid all the previous winter, through the Spring and the summer until the Autumn. Once again, its time to sart culling again. Any birds moulting early in the Summer should be eliminated. It takes about six weeks for a feather to grow out in either a good or a bad producer, but the good bird will grow more feathersat a time, there by completing the moult quicker. Birds normally moult the feathers from their head and neck first, then the breast, body and wings and from the tail last. The new feathers will begin to come as soon as the old ones drop. Birds should be kept well fed, upto weight and healthy during this moulting period. Sometimes birds hatched early in the season will,after a short period of laying, start a partial moult in the Autumn of the year that this starts. Egg production will come to a grinding halt when this occurs. This can be really frustrating, because they should be in full production during the Summer months.The best way to stop this, is to avoid early hatching of your future laying chicks. If layers are being selected for keeping in August and September, special attention should be paid to the state of the individual birds plumage. A good layers plumage at theis time of the year will have a dilapdated appearance from many visits to the nest boxes. The early moulters will show signs of new and fresh looking feathers. Remember, new quill feathers are large and sappy, whilst old ones are hard and hollow. Its possible to estimate when the moult began by counting the primary feathers in the wing.The primary feathers in a chickens wing are those on the outer end. For clarification purposes, the secondarys are on the inner portion. The two types of feather are divided from each other by some feathers called axial feathers, which are much shorter. 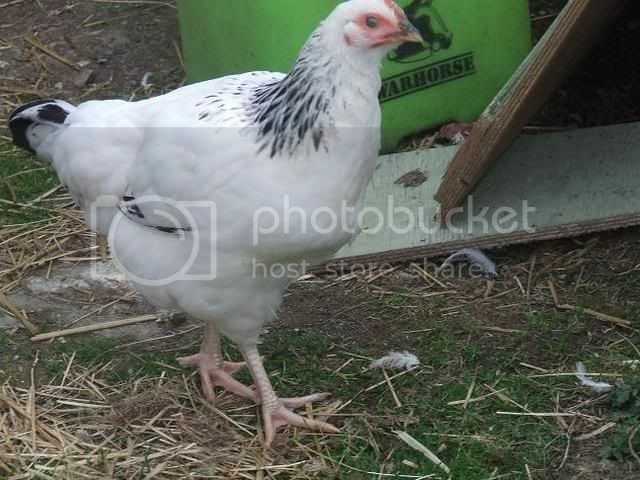 The average chicken has ten of these primary feathers and fourteen secondarys. When a hen stops laying in the summer, she will normally drop the primary feather next to the axial feather. If she is an early moulter she will probably drop the second primary two weeks after the first one and will then drop a further one every two weeks. The thing to be aware of is that these primary feathers always drop out in numerical order. The high producing, or late moulting bir, will moult on the same lines as the late producing bird but the main difference between the two will be the rapidity of the moult. The good layer, instead of renewing her primary feathers one by one will have several growing of the same length at the same time. So that in attempting to calculate the length of time of moult, any primarys that are the same length must be counted as one. I know this is heavy going but for anyone who is still following this, here is the nitty gritty bit. In estimating the time since the moult began, allow six weeks for the first new primary and two weeks each individual complete primary. A wing showing three new full grown primarys will show that the bird has been moulting for ten weeks. If the birds don't play the game and none of the primarys are full grown, then the estimate must be made allowing for this, on the basis that two thirds of the growth is made during the first three weeks , and the other third during the remaining three weeks. So that that a half grown primary would show about two weeks growth. I know that this does sound complicated, but if you can follow it through to its conclusion, it will identify the poor layers within you flock and if you can bring yourself to cull the poor performers it will improve the quality of you flock and in doing so, save you money. If I have another quiet day tomorrow, I'll finish the second half and tack it onto the end of the first part. Very informative article, breeding true to standard but maintaining utility qualities is something I strive for in my faverolles methinks I have a long way to go though! Will be interested in your thoughts around the link between moulting and a good layer! I've added a bit more to my first post. Its beginning to look a little like Soljawotsits War and Peace. I'll add more tomorrow. The next bits are more simple I promise. Interesting about the moult Bodger 1 of mine had a partial moult earlier in the summer this was her 1st laying period and she's still not up to scratch now. Her plumage colour has lightened too.